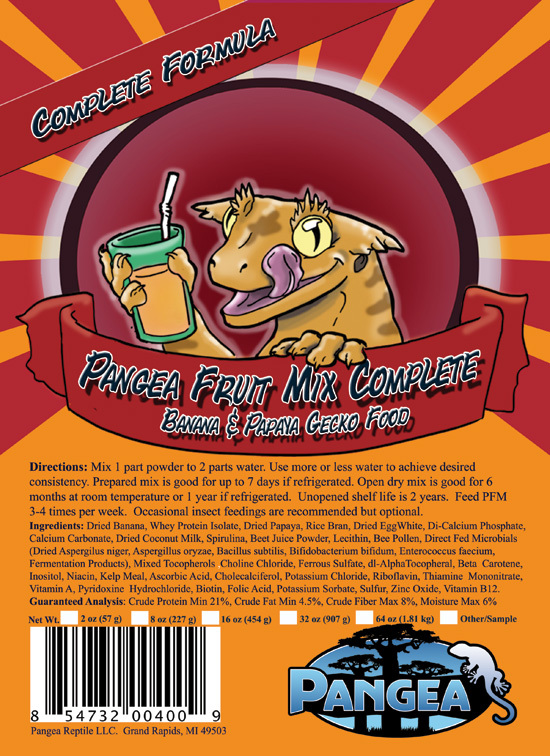 DRAGONTOWN FEEDS AND RECOMMENDS THE PANGEA FRUIT MIX COMPLETE DIET! We are very pleased to offer what we believe to be the best diet available today for your crested, gargoyle, chahoua, leachies and sara's. 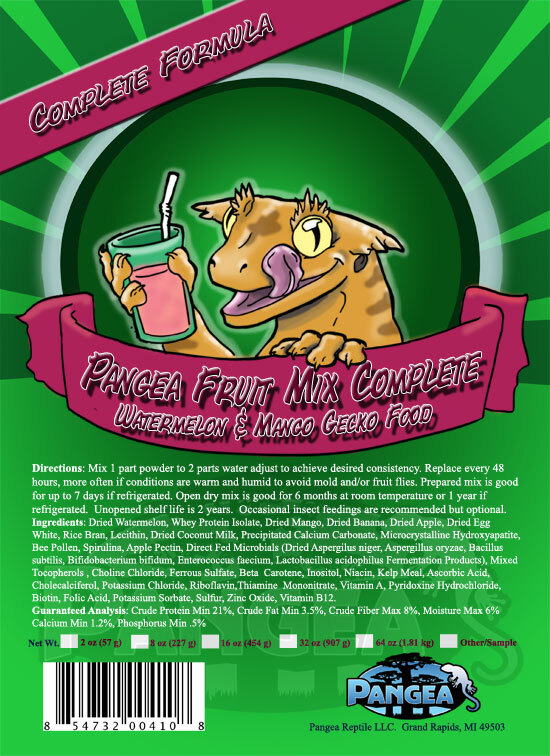 PFMC diet uses a combination of fruits that your geckos won't be able to resist. It has been formulated using only the highest quality ingredients, including All Natural Dried Fruits, Whey Protein Isolate, Egg White, Bee Pollen, Spirulina, Probiotics, and more. The ingredients are selected to contain very low levels of Anti-Nutrients like Oxalates and Phytates (these bind to important nutrients, preventing geckos from proper absorption). There are no seeds, nuts, seed meal, cereal grains or high oxalate fruits or vegetables in PFMC. We carry all three flavors of PFMC: Watermelon / Mango, Banana / Papaya and the all new Banana / Apricot. Please send an email to mike@dragontownreptiles.com to place your order! All images and text are property of Dragontown Reptiles and may not be used without permission.